A bit of a work-in-progress. 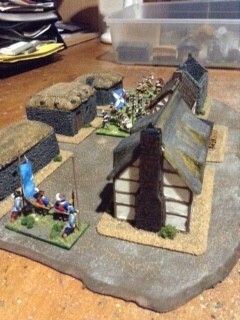 It will have walls, a road running through it etc but this gives you an idea. 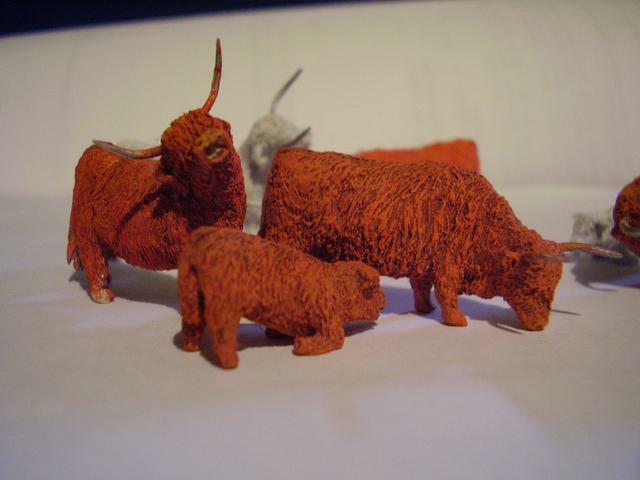 If only I could find some Hielan coos in scale. 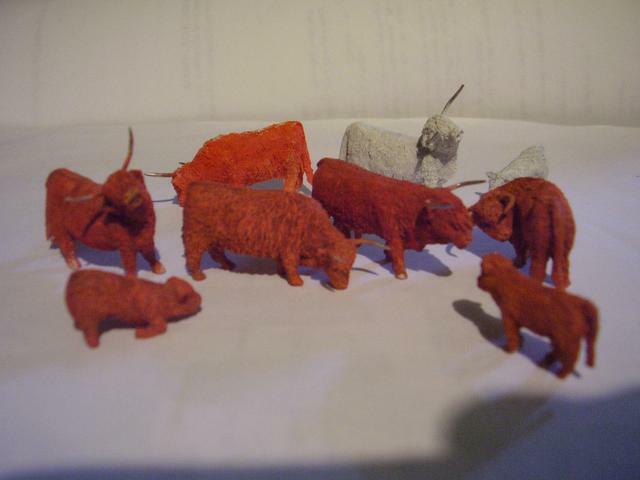 Ochoin wrote: If only I could find some Hielan coos in scale. Do you mean these? I am not sure which scale? Jan beat me to it. 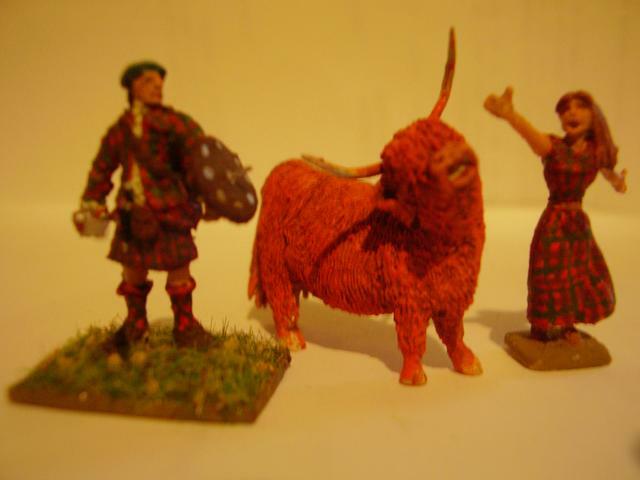 The coos need to go on bases too. And, of course, in real life they are in focus. 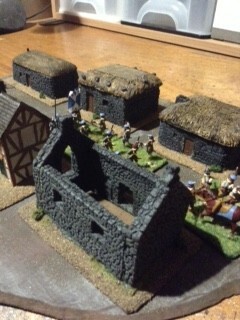 The village is looking very good. Aah, Flora McDonald: the margarine heiress.